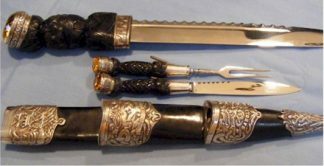 This is an Argyll Sutherland Officer’s Dirk. 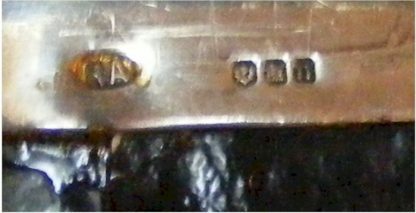 This military dirk is sterling silver hallmarked 1968 by Robert Allison of Glasgow. The blade is 11″ and the dirk is 18″ overall. It is in very good condition. This is an Argyll Sutherland Officer’s Dirk. It is sterling silver hallmarked 1968 by Robert Allison of Glasgow. This military dirk has ornately etched sterling silver fittings. 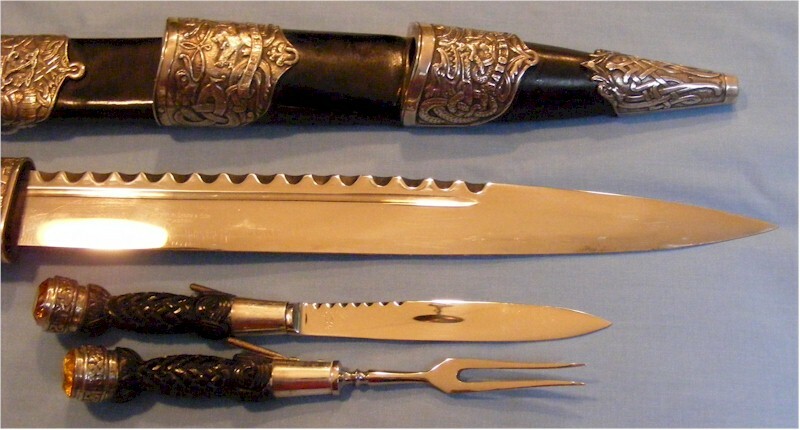 There is rope work carving in the handles of the dirk, small knife and fork.